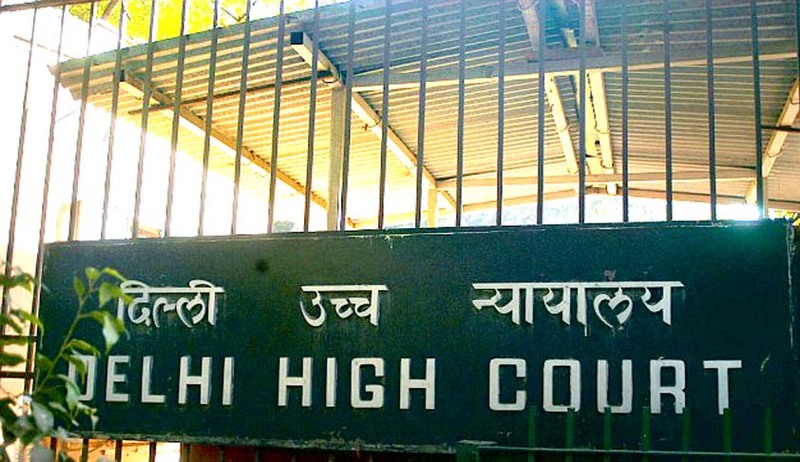 The Delhi High Court has held in a significant judgment that a woman who is in government service and has a child through surrogacy, is also entitled to maternity leave. The Court held that denial of leave would be detrimental to both mother and child. With this progressive ruling, the Delhi High Court has joined the likes of the Kerala High Court in holding that a surrogate mother would also be entitled to claim maternity benefits. The petitioner had entered into an arrangement with the surrogate mother which required the surrogate mother to bear a child by employing the In-Vitro Fertilization (IVF) methodology. The methodology used and agreed upon required the genetic father to fertilize, In Vitro, the ovum supplied by a designated donor. The resultant embryo was then required to be transferred and implanted in the surrogate mother. The terms of the agreement were entered in writing. The surrogacy agreement reached fruition with the birth of twins on 09.02.2013. Thereafter the petitioner submitted an application for grant of maternity and Child Care Leave (CCL). She had sought 180 days maternity leave and 3 months CCL. A doubt, was raised qua maternity leave, and eventually her application was rejected. It was conveyed to the petitioner that there was no provision for grant of maternity leave in cases where the surrogacy route is adopted. The petitioner was, however, informed that the CCL could be sanctioned in her favour. The petitioner was requested to submit an application for CCL in case she was desirous of availing leave on that account. Aggrieved by the stand taken by the respondents, the petitioner approached the Delhi High Court for relief. Placing reliance on the judgment of the Madras High Court in the case of K. Kalaiselvi vs Chennai Port Trust, counsel for the petitioner submitted before the Court that a commissioning mother has been judicially recognized as one who is similarly circumstanced, as an adoptive mother. The petitioner’s counsel also equated the position of a commissioning mother to that of a biological mother who bears and carries the child till delivery. The respondents on the other hand stuck to their stand that there is no provision under the extant rules for granting maternity leave to women who become mothers via the surrogacy route. Therefore, in law, no entitlement to maternity leave, in these circumstances, inhered in the petitioner. Justice Rajiv Shakdher of the Delhi High Court said that confining maternity leave to only where a female employee herself carries a child, "would be turning a blind eye to the advancement that science has made". The court also said that the word ''maternity'' would also cover a situation where a female employee engages services of another woman to conceive a child with or without the genetic material being supplied by her and/or her male partner. The court agreed partially with the Centre's argument that the word maternity can be attributed to only those female employees, who conceive and carry the child during pregnancy. "In my view, the argument is partially correct, for the reason that the word maternity pertains to the character, condition, relation or state of a mother. In my opinion, where a surrogacy arrangement is in place, the commissioning mother continues to remain the legal mother of the child, both during and after the pregnancy. "Therefore, according to me, maternity is established vis-a-vis the commissioning mother, once the child is conceived, albeit in a womb, other than that of the commissioning mother," the judge said. "It follows thus, to my mind, that the commissioning mother''s entitlement to maternity leave cannot be denied only on the ground that she did not bear the child. "This is dehors (other than) the fact that a commissioning mother may require to be at the bedside of the surrogate mother, in a given situation, even at the pre-natal stage," he added. The Court also ruled that Non-provision of leave to a commissioning mother, who is a employee, would, be in derogation of the stated Directive Principles of State Policy as contained in the Constitution (Articles 39(f) and 45). It may be recollected that the Kerala High Court speaking through Justice Dama Seshadri Naidu had already held in a judgment rendered earlier this year that women who seek the help of surrogate mothers are eligible for maternity benefits and they cannot be discriminated against. This judgment was in fact referred to by the Delhi High Court as well. Justice Dama Seshadri Naidu was considering a writ petition filed by a woman who was denied maternity leave by her employer for taking care of her newborn baby citing the reason that she was not the biological mother. Justice Naidu had held: "This court declares that there ought not be any discrimination of a woman as far as the maternity benefits are concerned only on the ground that she had obtained the baby through surrogacy." The court however, held that women who opt for surrogacy cannot be granted convalescence leave that is available for biological mothers. "It is further made clear that as a matter of legal fiction, the petitioner is entitled to all the benefits an employee could have post-delivery, sans the leave involving the health of the mother after the delivery. In other words, the child-specific statutory benefits, if any, can be extended to the petitioner," the judgment stated.